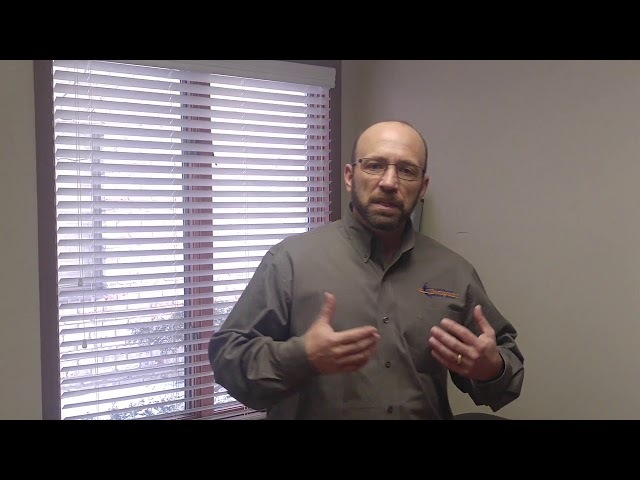 Spinal Stenosis Treatment | Advanced Chirporactic & Rehab, Inc. Spinal Stenosis Treatment | Advanced Chirporactic & Rehab, Inc. If you’ve been experiencing pain, tingling, or numbness in your arms and legs as the result of neck or lower back you may have been told you have spinal stenosis. The medical description of spinal stenosis is the narrowing of the space and in the spine this can be a narrowing of the hole in which the nerve exits. This typically occurs as a result of disc degeneration and facet joint arthritis which decreases the space between the discs in the spine. This narrowing can place pressure on the nerves that run throughout the spine. If the narrowing occurs in the neck, it is known as cervical stenosis, while if the narrowing occurs in the lower back, it is known as lumbar stenosis. Spinal stenosis can lead to several different symptoms which can vary from person to person and also depending on whether the stenosis is in the neck or lower back. Some people with spinal stenosis may experience no symptoms in the early stages, but symptoms tend to worsen over time to include weakness or numbness in the legs, feet, or arms. 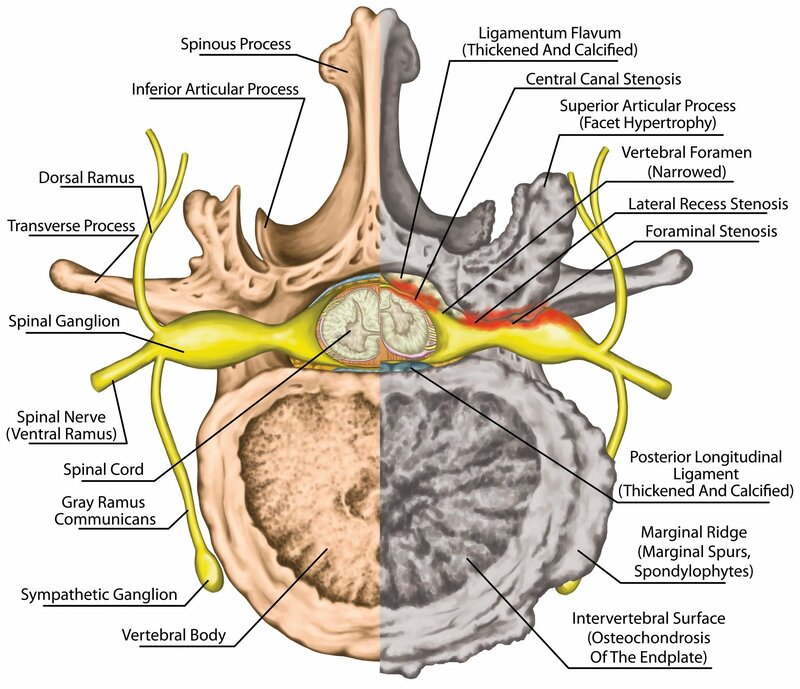 Spinal stenosis also leads to pain in either the neck or back depending on where the narrowing is taking place. If you begin to experience any of these symptoms, it is best to see a doctor before the symptoms begin to worsen. There are several factors that could be the cause of spinal stenosis, including overgrowth of spinal bones, thickened ligaments, herniated discs, spinal injuries, and even tumors. Each of these causes of spinal stenosis can lead to serious complications and should be addressed promptly. 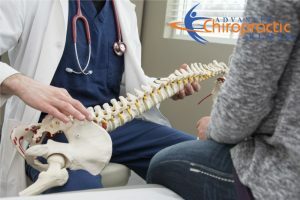 One of the main chiropractic treatment methods for spinal stenosis is Flexion Distraction, which is effective in widening the space in the spinal canal and also increase the height of the discs in the spine. Additionally, chiropractic adjustments can be effective in treating spinal stenosis by realigning and taking pressure off the spinal cord. Chiropractors can also prescribe exercises and stretches that can help alleviate the pain patients experience resulting from spinal stenosis. 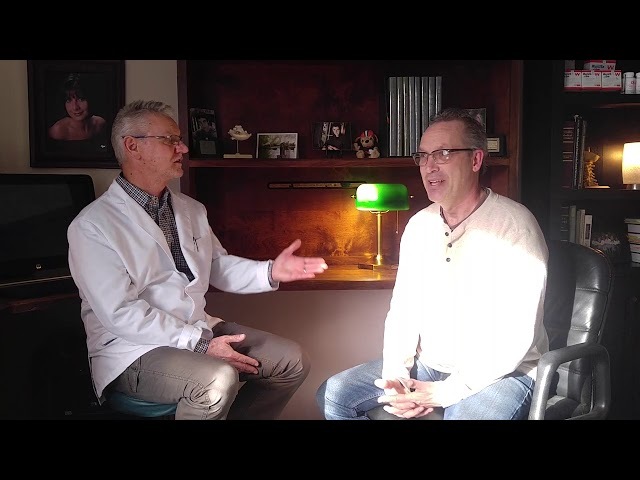 While there may not be anything that can be done to reverse on the onset of spinal stenosis, that doesn’t mean those who have been diagnosed with it have to live in pain. Chiropractic care can help reduce the pain caused by spinal stenosis and help patients get back to living their best life. If you’ve been diagnosed with spinal stenosis or suspect that you may be suffering from it, don’t wait until the symptoms worsen, get treatment early so you can avoid debilitating pain. If you or someone you know has been suffering from back pain and are looking to move away from pain relievers, give Advanced Chiropractic & Rehab Inc. a call today at (330) 726-7404 to schedule a free consultation to see how we can help.